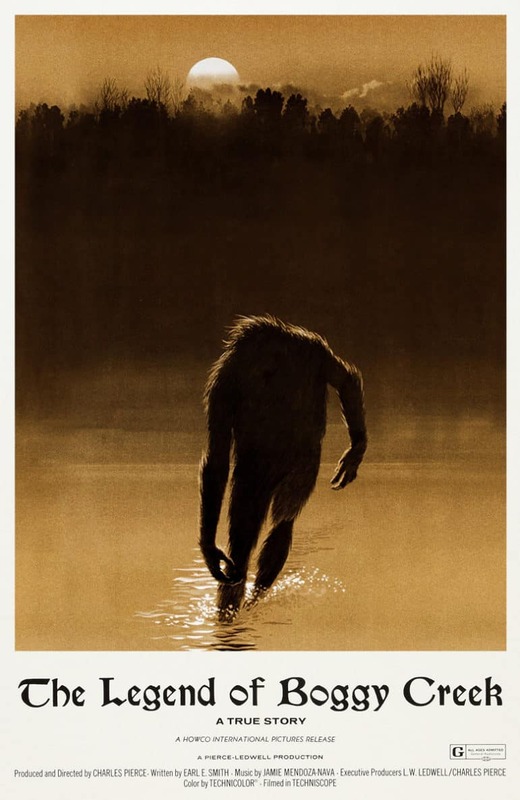 Relive your childhood memories with your friends and family this summer with the tale of a Big Foot-like creature, or as we colloquially know him, the Fouke Monster, in Charles B. Pierce’s The Legend of Boggy Creek.The film was recently fully restored and remastered in 4k by Pierce’s daughter andis ready for rerelease at the historic Perot Theatre. Tickets go on sale this Friday, December 21, 2019, at 10:00 AM and can be purchased online, in person at 221 Main Street, or by phone at 903-792-4992. The legend continues with showings on June 15-16, 2019, at Midnight, 10:00 AM, Noon, 3:00 PM, 6:00 PM and 9:00 PM. Tickets are $15 per person, ages 13 and up, while tickets for Seniors, Veterans, Students, and children 12 and under are only $12 per person. Seating is reservation only and everyone must have a ticket to enter the theatre regardless of their age. Buy your tickets now to get the best seats available. See firsthand what trigged a cult-like following in this “docudrama” style film that conveys swamp life in the 1970’s with the lore of a hidden creature that cursed the Texarkana area. Pierce used witnesses with first-hand encounters of the swamp monster, with only a budget of $160,000 from Ledwell Machinery, later becoming one of the highest grossing films released in 1972. Now, the film is considered the commencement of the drive-in film presentation, inspiring later films to adapt the same style of storytelling. The film is rate G and is appropriate for all ages.